Three and a half stars. I've had this thing for a few years, and I would love more than anything to like it more than I do. I want to like it, just like Corsair's Air Series fans. But it has problems, like just general instability, and the laser sensor isn't really that reliable. It's now on top of my desk for looks, and I'm getting way more use out of my Redragon Perdition that I bought for 35 bucks. I'm going to try and get it traded in for a new Razer Mamba, because that thing looks like it has some serious oomf to it. If I can't do that, then a Deathadder Chroma would be great as well with its optical sensor. Just something that has actual ergonomics and doesn't look or feel like it was designed for wind tunnels rather than hands. 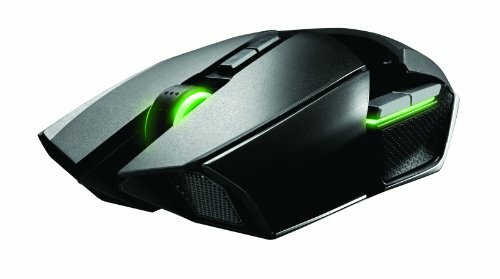 The only gripe I have with this mouse is how often it needs to charge to survive on its wireless mode, but other than that it's a really comfortable ambidextrous mouse that I can use with ease versus all the right-handed gaming mice on the market. 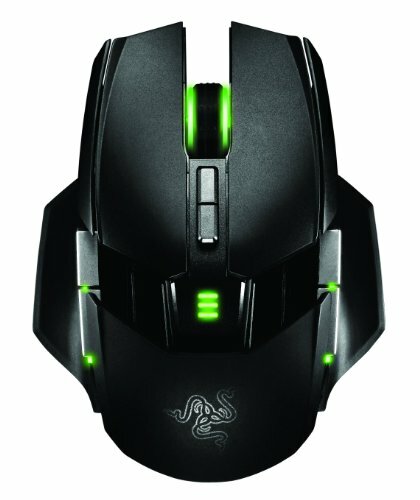 Wireless is no longer an option as it just doesn't respond as it used to, the cable tends to come off the mouse and now it just feels cheap compared to the $120 price they put on it.